It’s universal knowledge that gaming and snacking go hand in hand. 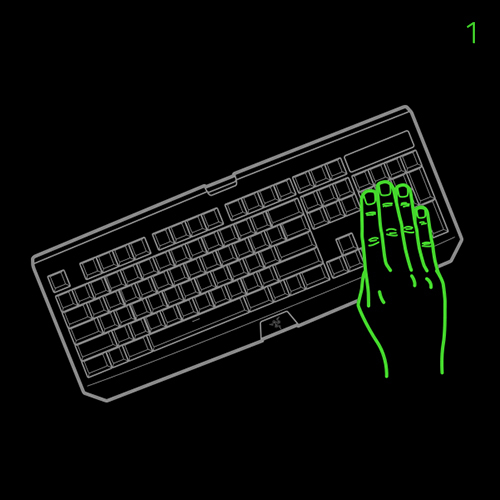 But this ideal is destroyed with the sheer fact that eating at your desk equals keyboard suicide. Discover how our engineers and scientists came up with the perfect solution. 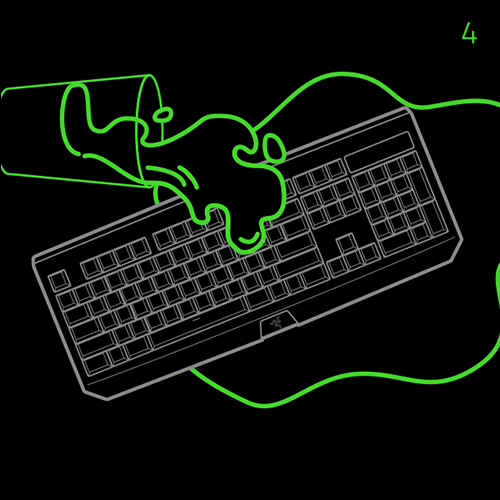 Chances are, 80% of gamers keep drinks and snacks on their table. They’ve got a lot of options— soda, Doritos, Cheetos, Hot Pockets—you get the drill. Unfortunately, these have been identified as some of the most detrimental snacks that can ruin your keyboard. 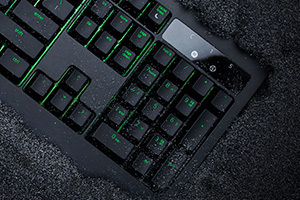 Any liquid spills spell instant keyboard death, while crumbs and other unidentifiable debris can accumulate in between and under keys, especially if you’re using a mechanical keyboard. I caused my guild to wipe on the last phase of Illidan Stormrage. A good gaming keyboard is integral in any battlestation. 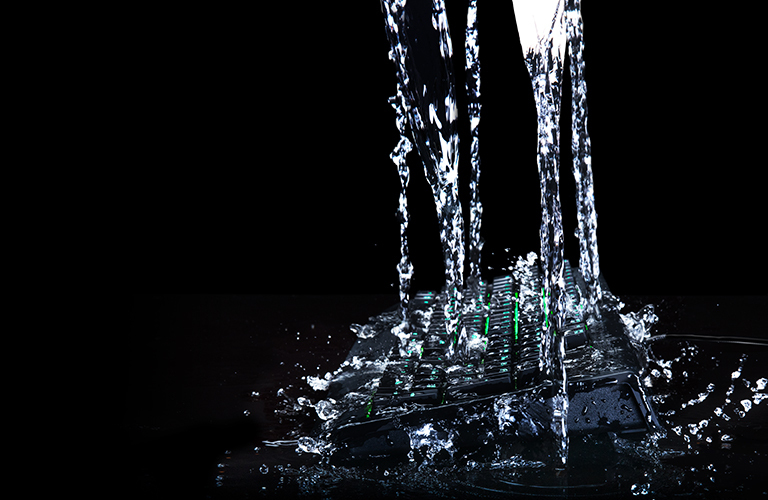 It should be equipped with the best switches, the latest features and technology, and be durable enough to withstand rigorous play. That, and the ability to bravely fend off snacks and soda. 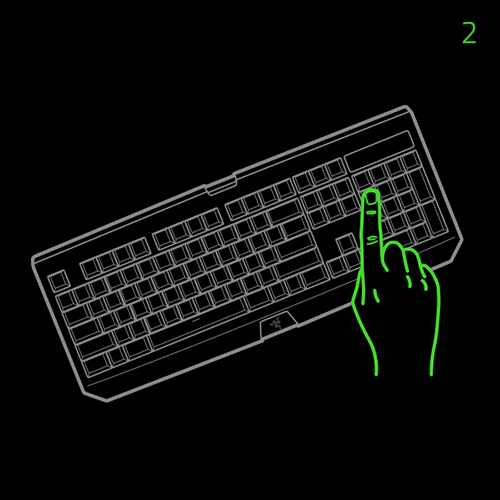 Our team started mapping components they wanted in a new keyboard. 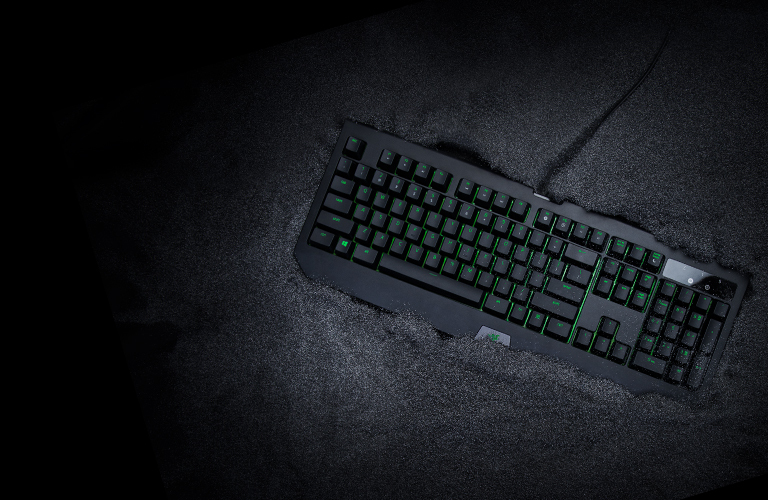 Starting with the blueprint of the original BlackWidow Ultimate, they then proceeded to conduct intensive research on available water- and dust-resistant components to outfit the keyboard with new standards of durability. 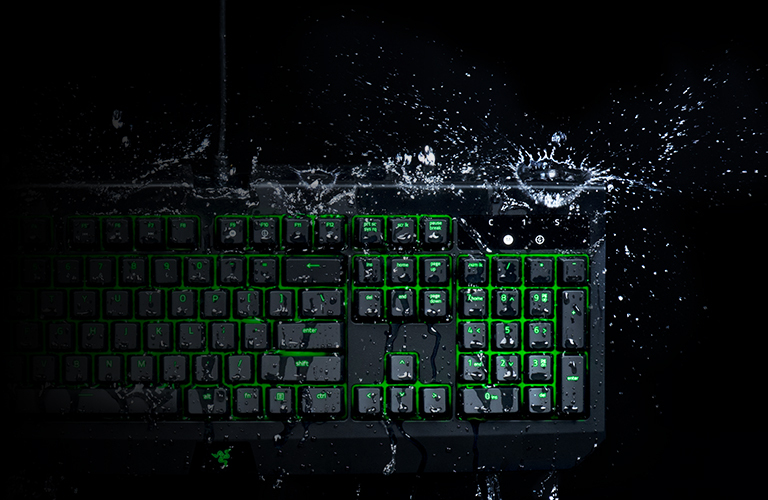 Both side walls around the switch stem are fitted with a keycap that prevents water and dust from entering the switch. 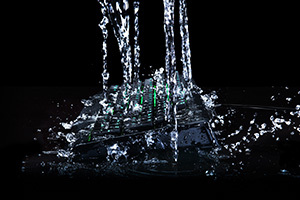 The printed circuit board (PCB) is covered by an additional water-repellent protective layer for extra protection and durability. Proprietary tactile and clicky switch. 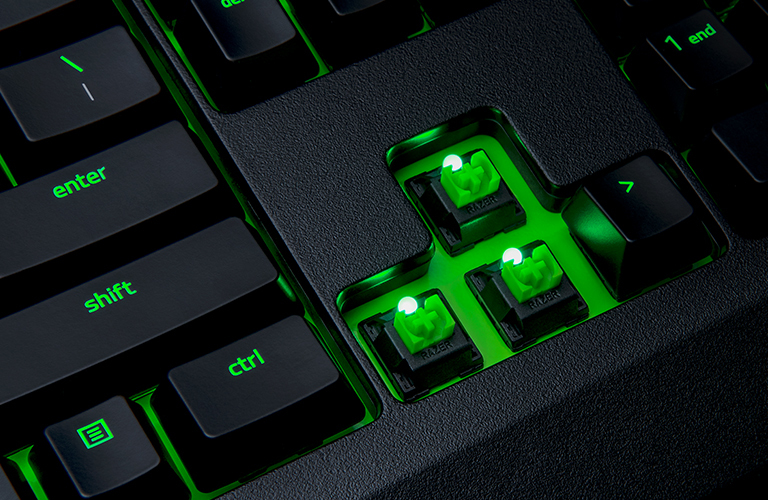 Features optimized actuation and reset points at almost half the distance of standard mechanical switches. 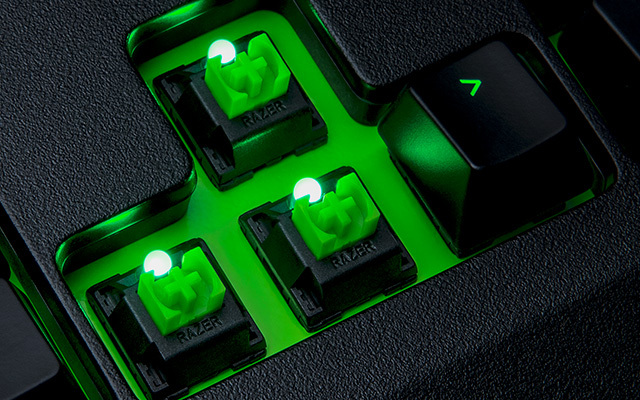 Switches are manufactured under strict requirements, resulting in a lifespan of up to 80 million keystrokes—compared to the industry standard of 50 million clicks. 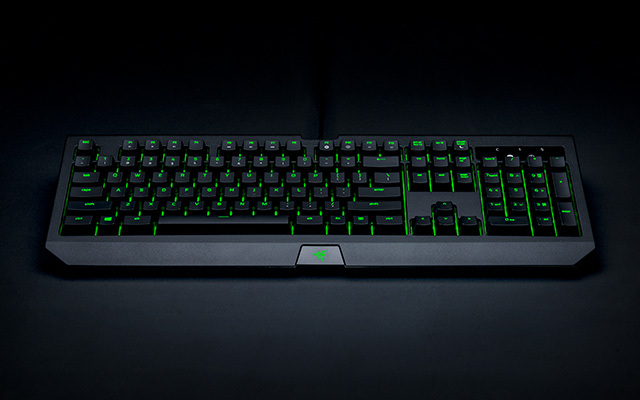 The new Razer BlackWidow Ultimate was sent for a variety of comprehensive tests before being declared IP54 certified. IP stands for Ingress Protection marking, a standard used to indicate how resistant a device is to water and dust. 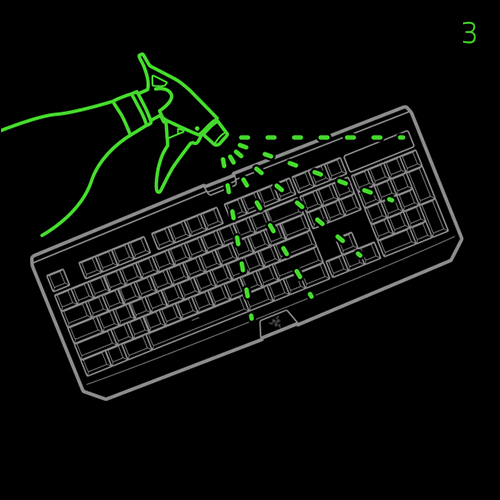 ‘5’ represents its resistance to the ingression of dust, while the ‘4’ provides certification against water splashing from any angle. 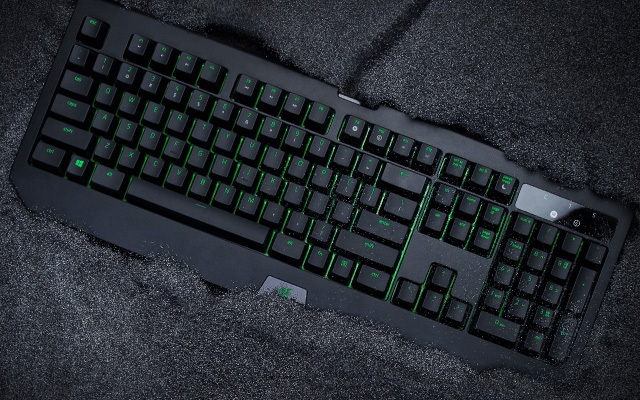 The BlackWidow Ultimate is currently the highest IP certified mechanical gaming keyboard in the world. 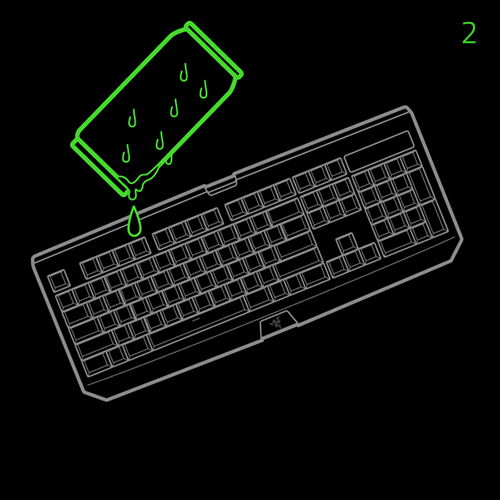 Upon spilling a cup of water onto the keyboard, it was held up for water to escape through the drainage holes beneath the keyboard. Any remaining liquid was wiped away with a dry cloth. 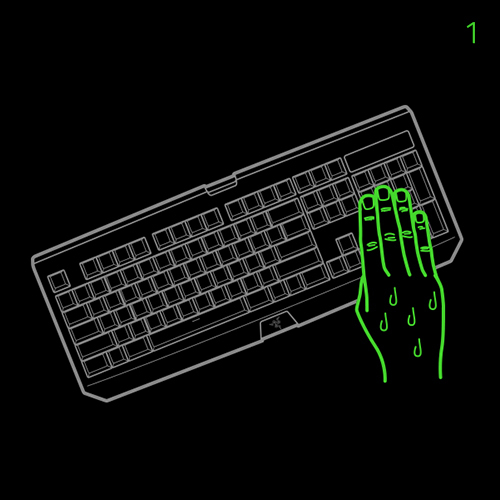 With the keycaps on, the keyboard† simulating a possible IRL accident. 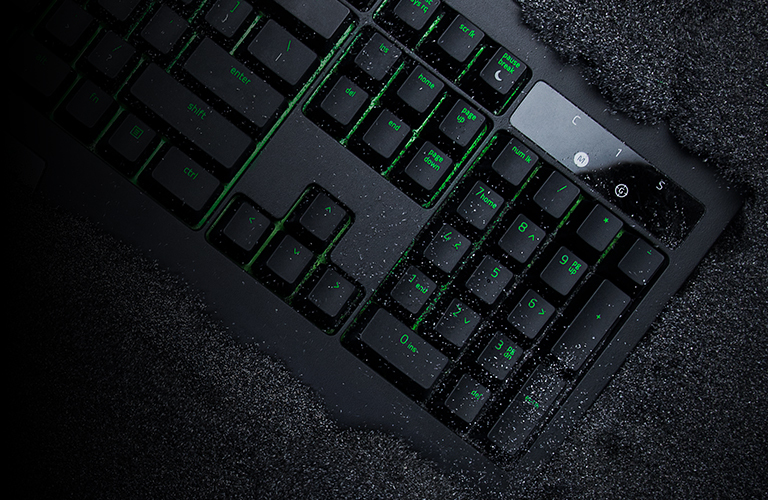 Keycaps were subsequently removed and remaining liquid wiped away with a dry cloth. 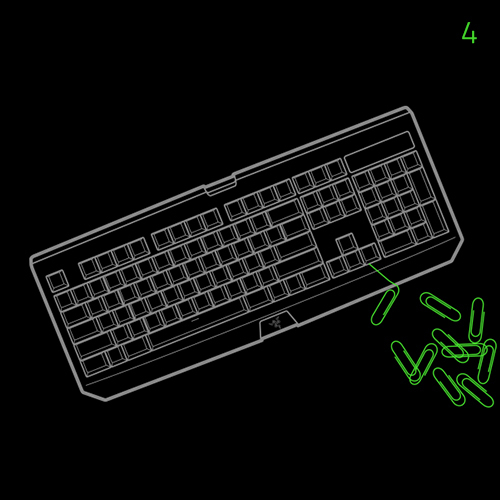 With side walls flanking the switch stem, crumbs and small dust particles that land on the keyboard simply sat on the keyboard’s exterior and were unable to get into the interior electronics through the switches. Test items included Doritos flavoring, Cheetos powder, and even salt. 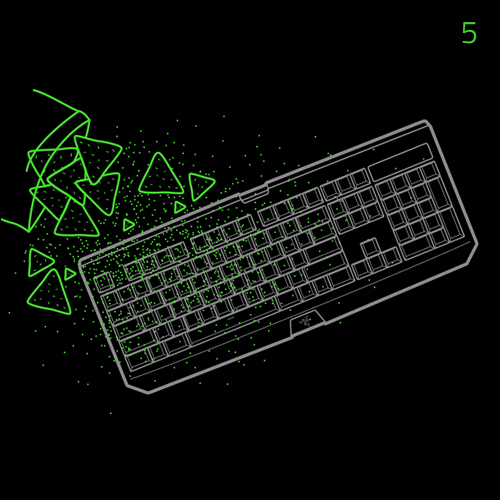 Keyboard remained fully functional in all scenarios above. †Avoid placing USB input port under running tap. Unplug the keyboard from the computer. Clean using a soft cloth or cotton swab with a bit of warm water to prevent dirt build-up. Avoid soap or harsh cleaning agents. 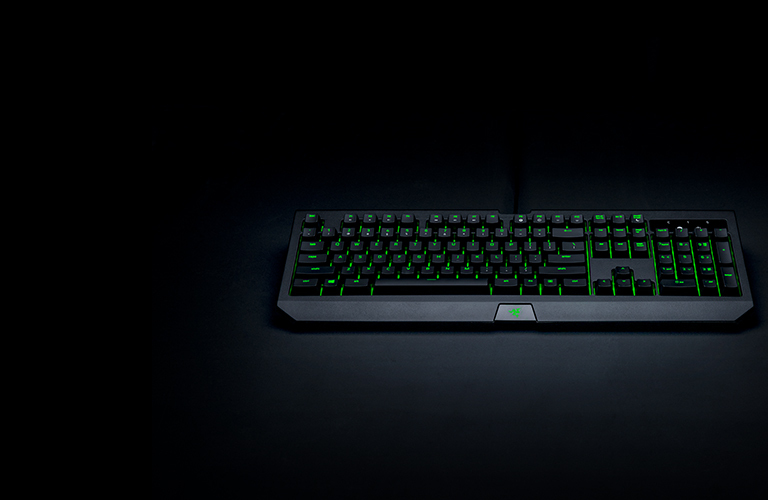 The story behind the Razer BlackWidow Ultimate is simple: we wanted to make our signature keyboard even better for gamers. After months of heavy research, rounds of rigorous lab tests and select groups of play testers—we finally did. 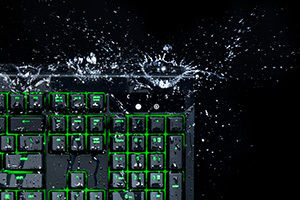 Augmented with water- and dust-resistant features, the keyboard is Razer’s toughest to date, and the new standard for durable keyboards across the industry. 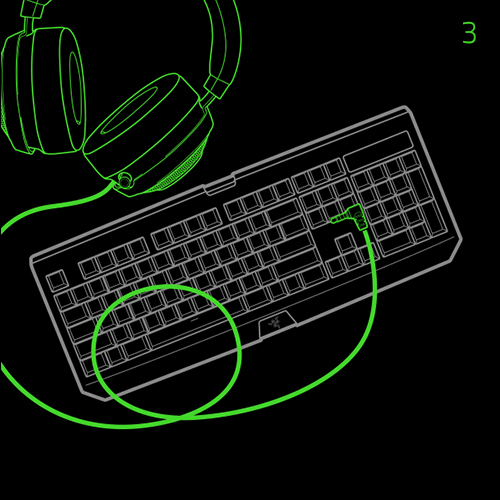 *Employee may or may not actually exist at Razer.